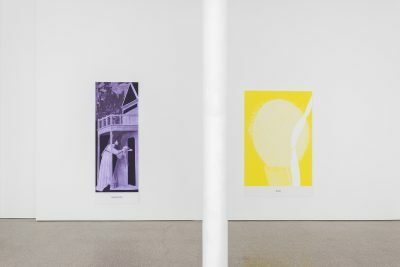 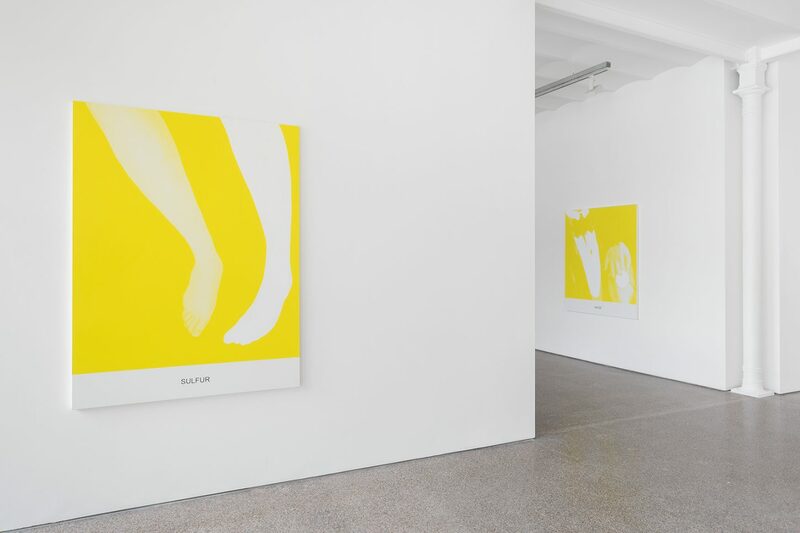 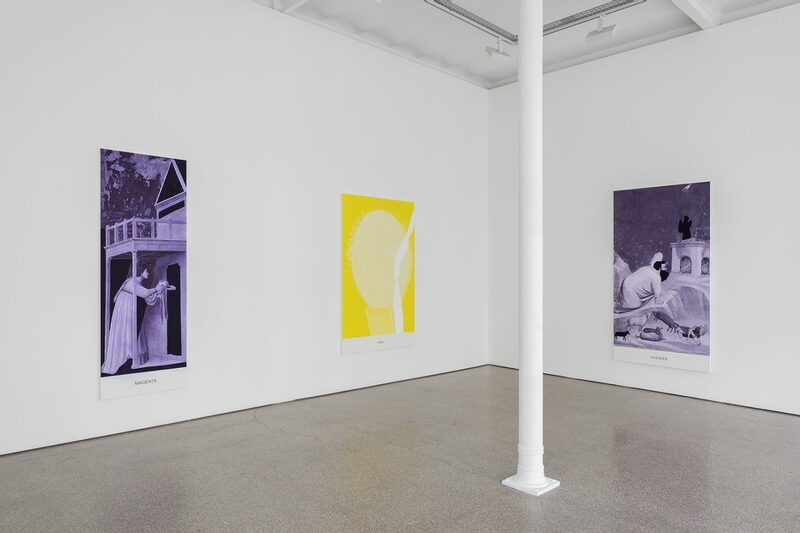 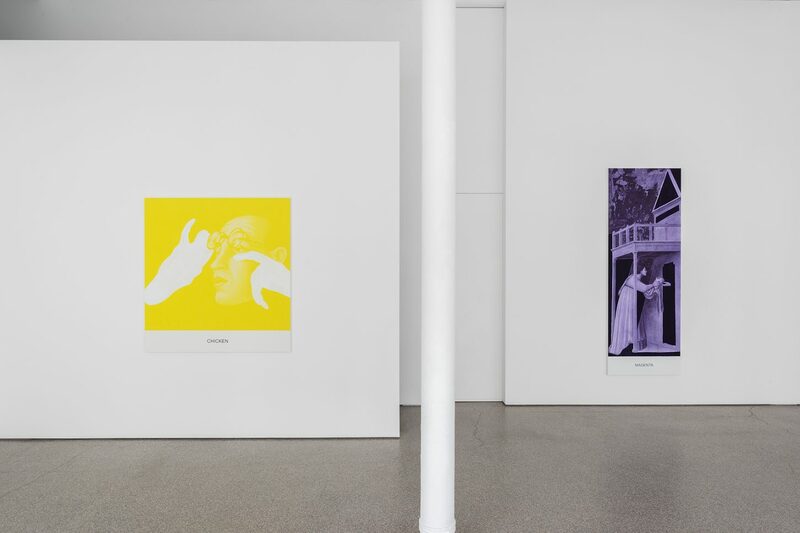 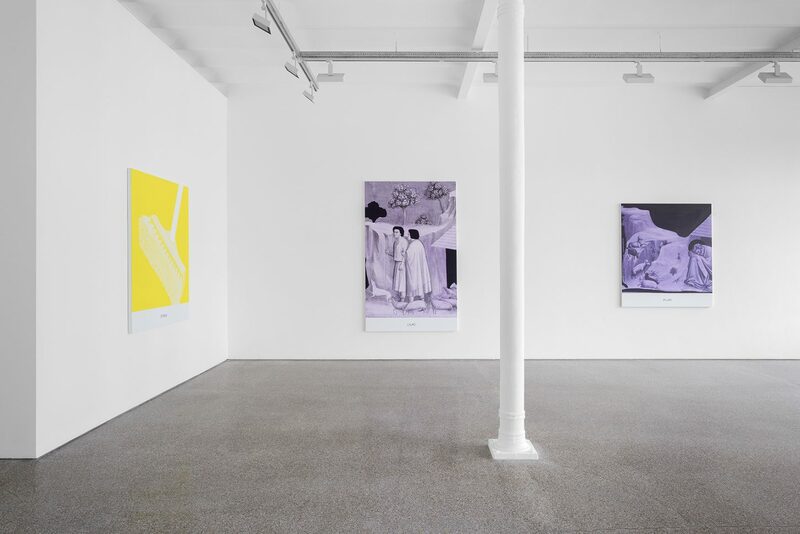 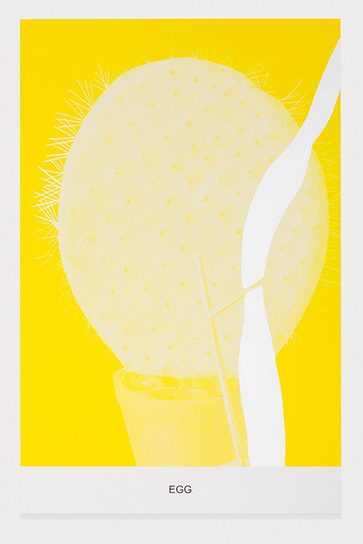 While Baldessari’s previous works have frequently incorporated fragments from black and white film stills and dialogues, he moves away from film sources and works with the history of painting for the “Complementary Color” series (yellow and purple are complementary colors). 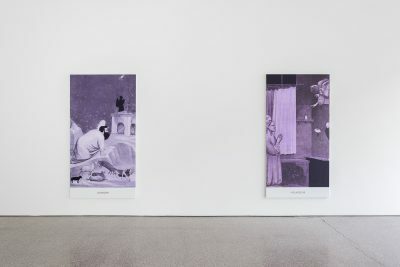 He pays tribute to old and modern mas-ters by borrowing details of their works in ways that make his creative ancestors seem especially current. Baldessari visited many years ago the Giotto frescos in the Arena (Scrovegni) Chapel. 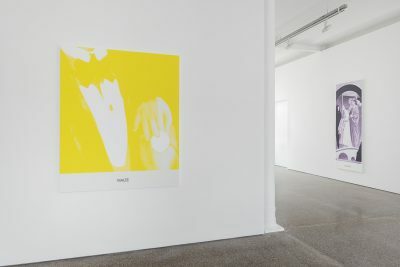 He was struck by “the simplicity of his forms – they are so strong and solid.” “His sen-sibility looks so modern to me. 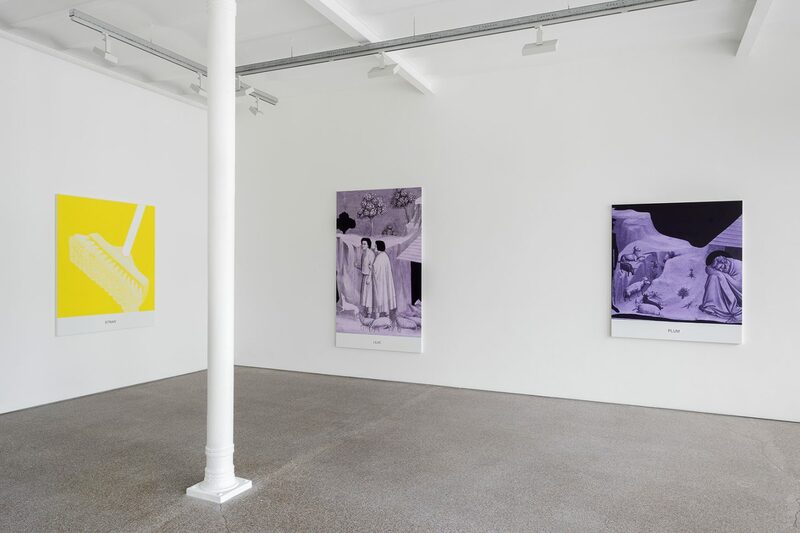 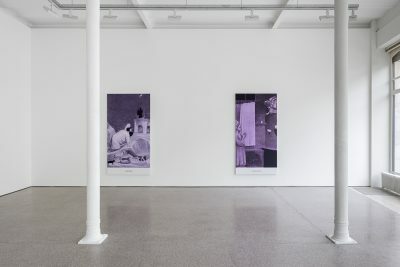 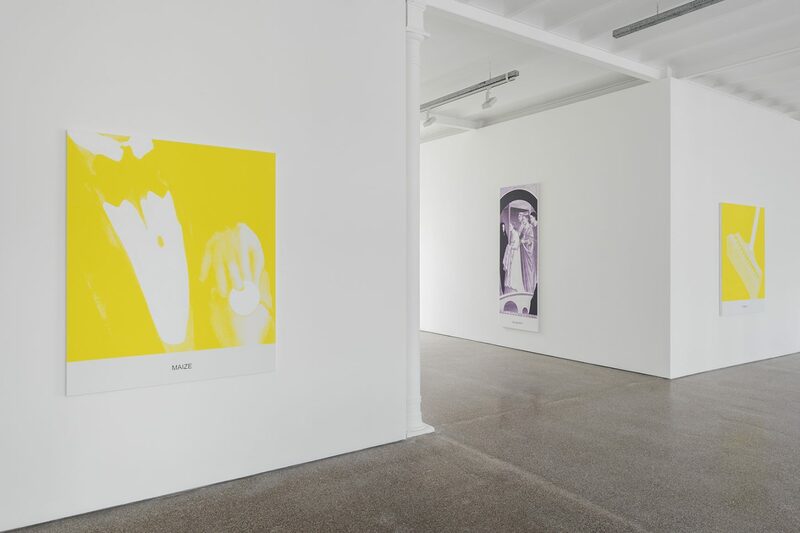 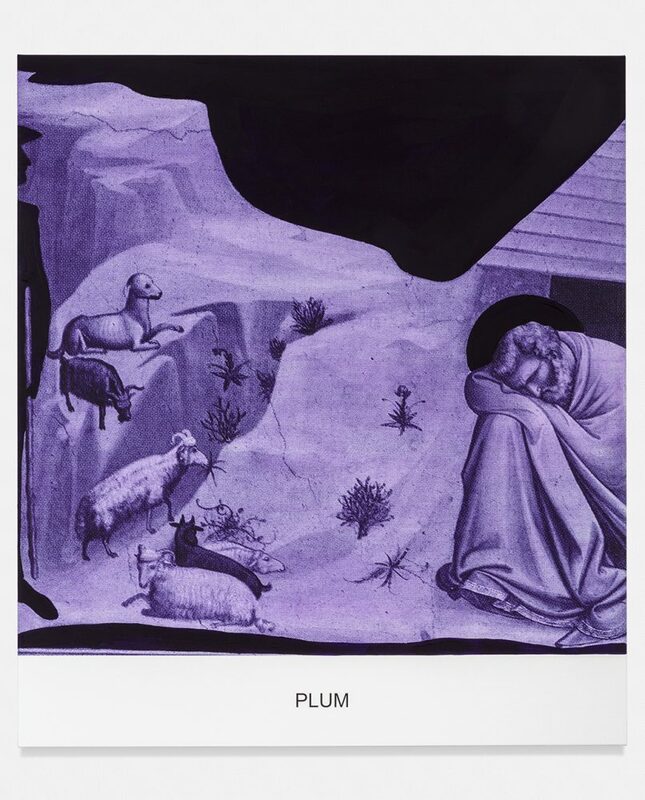 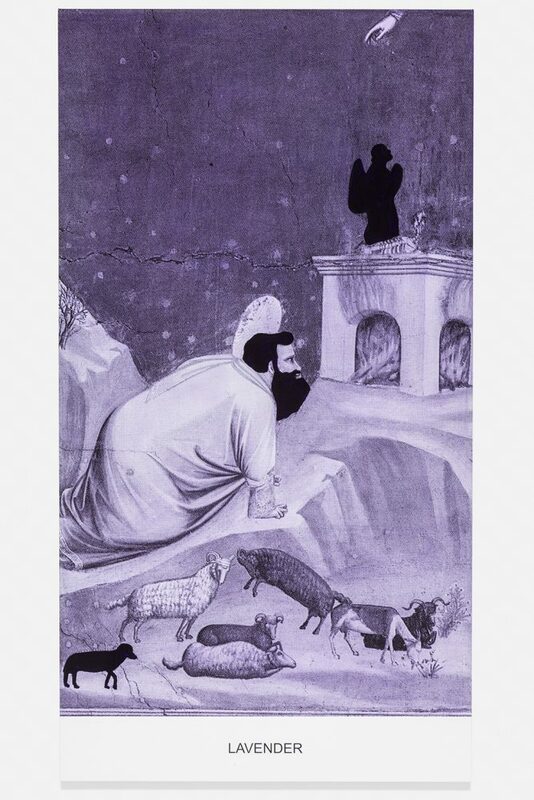 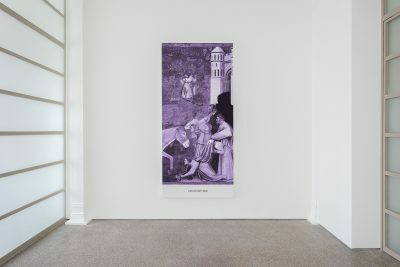 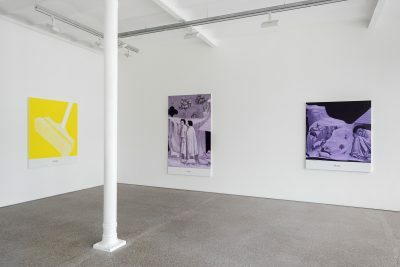 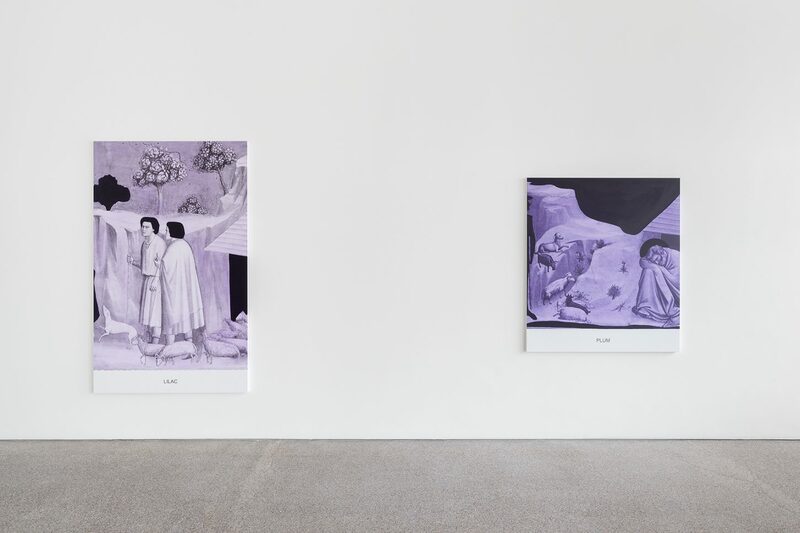 No elaboration, no ornamentation, very direct.” Some of these scenes, mostly biblical, shape Baldessari’s Purple series, which are canvases inkjet printed with a pared-down or fragmented images in dark purple with names of different hues at the bottom edges. 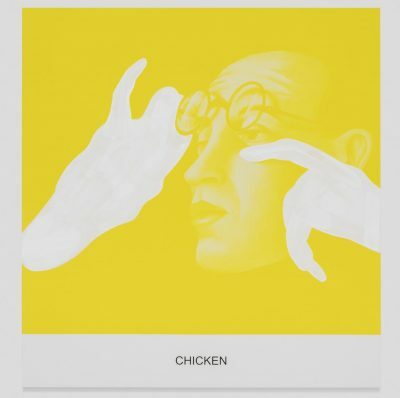 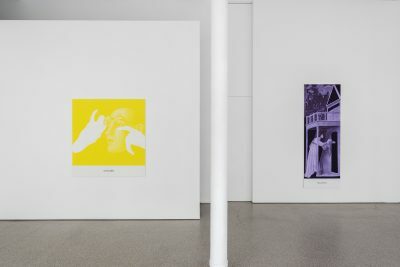 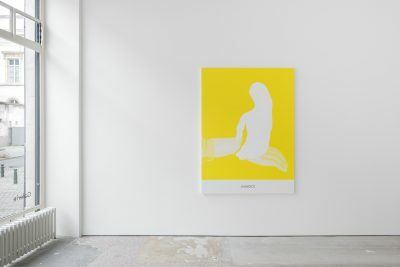 Here, images and words are at odds – a classic Baldessari technique for prompting viewers to question their own assumptions about the trustworthiness of the visual world, the written word or both. 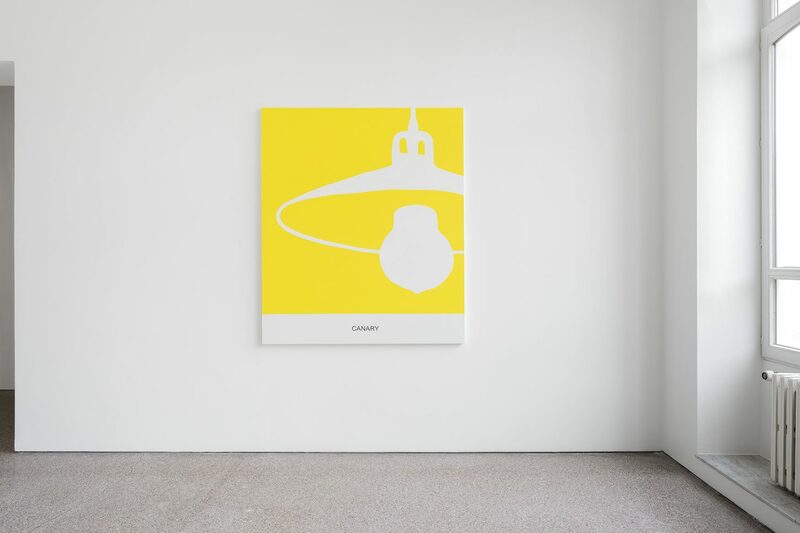 Works from the yellow series display images of everyday objects paired with object names at the bottom edge. 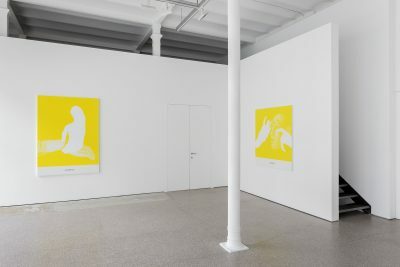 The painted quotidian object, which normally does not have any correlation with the color yellow, is painted solely in yellow. The object name written at the bottom edge, usually associated with this hue, has no direct relationship to the visually represented object. 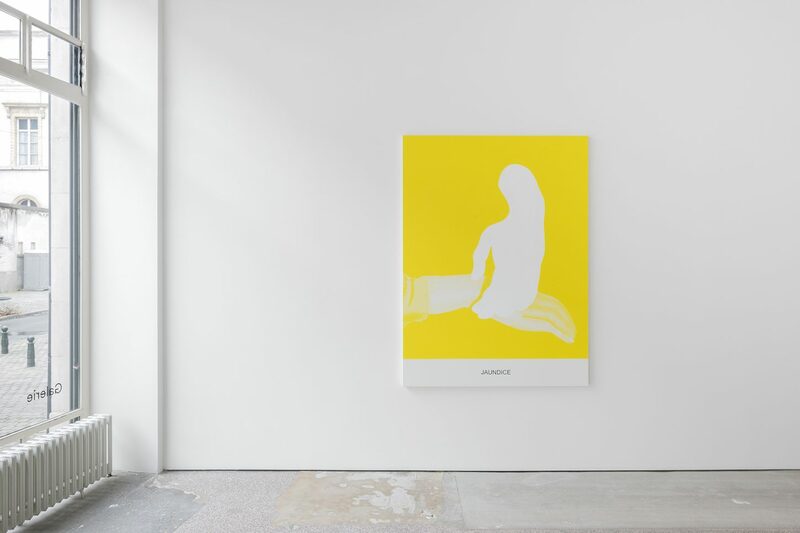 Once again, the images and words are at odds as seen throughout Baldessari’s practice and prompts the viewer to question their own assumptions about the trustworthiness of the visual world, the written word or both.